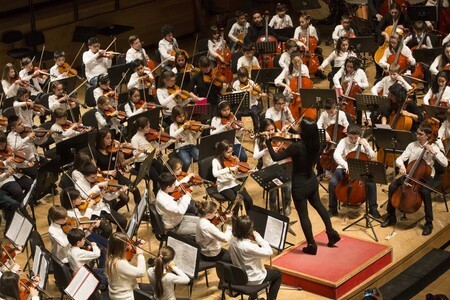 The “Sistema Orchestre e Cori Giovanili e Infantili in Italia” strives for social change through the shared experience of collective music-making, involving more than 10.000 youngsters. It was introduced in Italy in 2009 by Maestro Claudio Abbado, who was directly acquainted with the original model, and appealed to a number of musicians as well as cultural organizers in order to implement full-fledge Sistema in Italy. Initiated at the end of 2010, the national network – under the honorary chairmanship of Maestro José Antonio Abreu – operates on a regional level with representatives in all regions and coordination from an interregional Board of Directors. It includes over 60 Nucleos in many Italian regions. 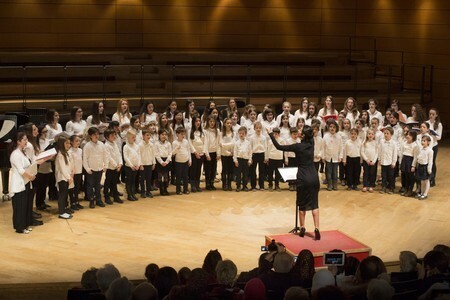 Free music education as ensemble training, both in orchestras and choirs connecting 7 Nucleos and all musical levels, including children with special needs, is at the “heart” of the Sistema in Lombardy.